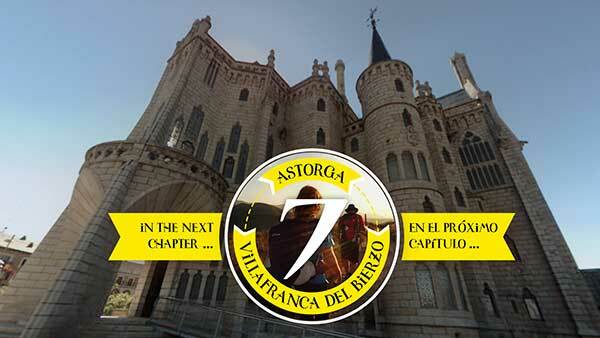 With Camino de Santiago 360º you can put on some virtual reality glasses and get into a pilgrim’s boots.This app will take you to an immersive and interactive trip in which you can choose your own point of view. 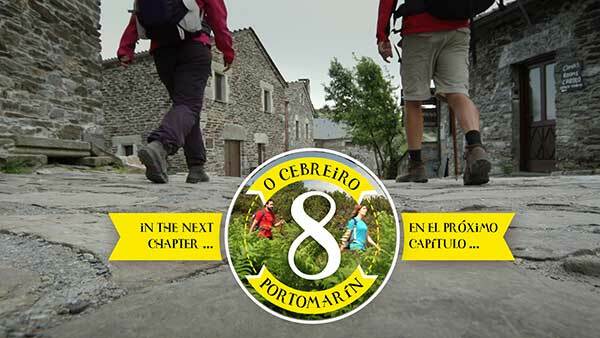 Putting together fiction and documentary in an interactive guide format, this app has been shot in spectacular environments and will immerse you in the cultural, historical and human richness of the Camino de Santiago: art, culture, hospitality, effort, self-improvement. 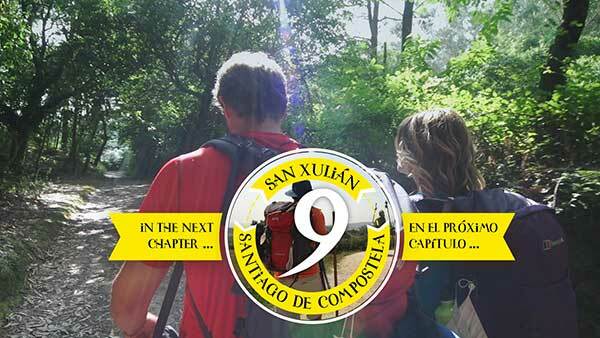 Camino de Santiago 360º is an entertaining app that will allow you to virtually walk the Camino de Santiago, prepare your trip or remember whenever you feel like it. *Click and drag in any direction, with your keyboard or mouse to watch the trailer on your computer. You are the main character of this adventure. You and the Camino de Santiago. From Roncesvalles to Santiago de Compostela, you'll be accompanied by Margaret, a young and curious american traveller and Antonio, a chatty and friendly spaniard lover of the small pleasures of life. You'll walk through ancient paths, magical woods plagued with many legends, vast plains of cereals, vineyards, beech woodlands. You'll cross rivers and mountains. You will visit ruins, cathedrals, museums and chapels, enjoying lovely sunrises and the most beautiful landscapes meanwhile you choose you´re own journey. You will overcome the adverse conditions and enjoy life during the Camino among with Margaret, Antonio and other singular characters who will make you feel at home. You will have to accustom the cultural differences and in the most difficult moments you'll even doubt if to continue. ￼No one said the Camino would be easy, but you'll understand why this experience marked so many pilgrims once you finally see the towers of Santiago's Cathedral. 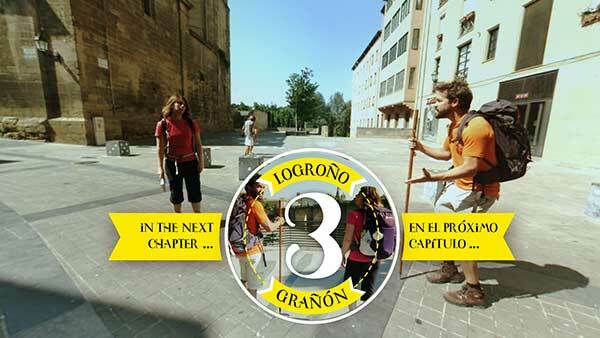 360º pilgrims have the “traveller’s view” and are willing to learn, know, explore and share their experiences. They will experience in first person the physical demands, the Pyrenean cold, the heat of the Castilian plane and the Galician rains. Together, they will discover new things about themselves and will grow as a person while reaching the different stages of the Camino. is Spanish, chatty, friendly and cheerful. He's a History and Nature lover and he always has anecdotes to tell about every place. He loves to enlarge his recipe book with the food he tastes along the way and doesn't conceive a meal that's not accompanied by a good wine. is American (from New York) and speaks very fluent Spanish, although sometimes her mistakes will take us to funny situations. She's a passionate of Art, Architecture and Photography and will always grasp the opportunity of visiting chapels, museums, cathedrals, etc. She's fascinated by legends and is the most spiritual of the group. She never gives up.